Summer is finally here and the heat has arrived, so this crisp cotton shirt is the perfect top to wear. White is a summertime classic. It creates a clean fresh look and it makes colors paired with it pop that much more. 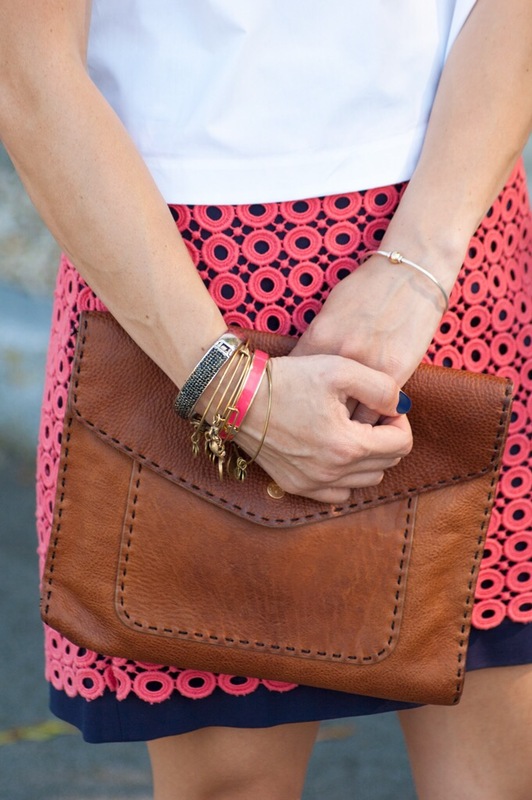 I love all the bright fun colors summer has to offer, but sometimes it’s nice to go with the basics. 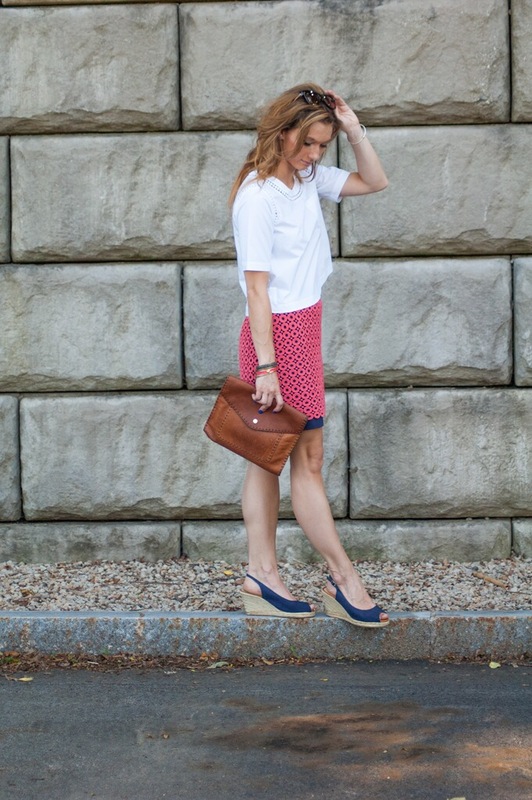 A white top paired with coral and navy makes a great go-to outfit that can never disappoint. I cannot believe that July is right around the corner! It feels as though summer just began but before you know it, fall will be here in New England. It’s hard with all of my commitments this summer to pack in the other activities I would like to do. I have started a summer bucket list. It’s not the crazy things you’ve never done; my list has activities like taking a few hikes, kayaking, going to the beach, playing tennis, etc. Summer in New England is short. There’s an old joke “summer up here is perfect, both days, August 18th and 19th”. It’s not that short, but if I’m not careful summer will slip away before I have the chance to do all those fun things. What is on your summer bucket list? ?